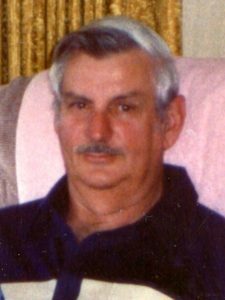 Lawrence passed away peacefully on July 4th, 2018 at the SECU Hospice House in Smithfield, NC after a brief illness. Born April 15, 1930 in New York City, NY. Lawrence was the son of the late Harold R. and Alice Schweizer Gregory of Mt. Kisco, NY. He was preceded in death by his wife Virginia [Hartnett] of 42 years, and brother Stanley Rugg Gregory of Mt. Kisco, NY. Lawrence graduated from Mt. Kisco, NY High School in 1949. Served in the US Army during the Korean War from 1952-1954. After his honorable discharge, he married Virginia Hartnett on Oct. 10, 1954. Lawrence retired from the NY State Correctional Dept. after 31years. After his retirement, he enjoyed traveling around the country with his wife. Survivors include his children, Stanley Gregory of Lakeville, NY, Lois Gregory of Middlesex, NC and Stewart Gregory [Amy] of Garner, NC. Also 8 Grandchildren and 5 Great-grandchildren. And his very special and loving companion, his dog Dolly. Special thanks to the staff at SECU Hospice House for their support and care. A memorial service, with military honors, will be held at the Saratoga National Cemetery on Monday, July 23, 2018 at 10:30 a.m.